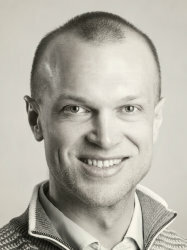 Dagfinn Aune is a postdoctoral researcher at the Department of Epidemiology and Biostatistics at the School of Public Health of Imperial College London and an associate professor at Bjørknes University College in Oslo, Norway. He completed his PhD at the Norwegian University of Science and Technology in 2016 and has a MSc in Nutrition from the University of Oslo from 2008. He has since 2010 worked for several years in the Continuous Update Project of the World Cancer Research Fund, updating the systematic reviews and meta-analyses that were the basis for the report Food, Nutrition, Physical Activity and the Risk of Cancer: A Global Perspective that was published in 2007. He has also worked on systematic reviews and meta-analyses within other areas of public health as well as on projects in the EPIC-study, and in South American case-control studies.